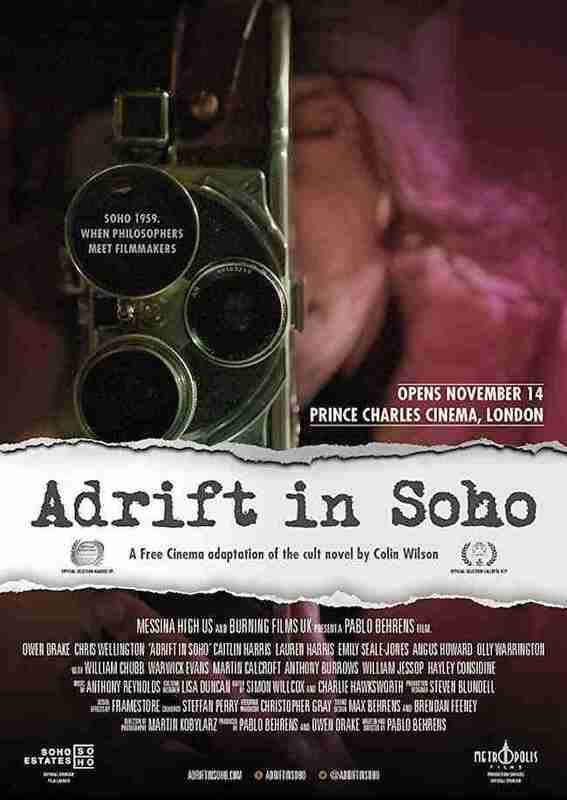 Writer-director Pablo Behrens’ adaptation of the novel Adrift In Soho by Colin Wilson is a piece of cinematic jazz. The film washes over you and takes you out with the current, pulling you under until you surrender to it. It’s a clever piece about a group of friends living in London’s Soho in the 1950s, a time of political and cultural change. Owen Drake is Harry Preston, a struggling writer who befriends the louche would-be actor James Compton-Street (Chris Wellington, coming across like a young Peter O’Toole). Along the way they cross paths with an assortment of curious character including American student Dorren (Caitlin Harris) and free filmmakers (Lauren Harris and Angus Howard) as they attempt to find their creative voices. A low budget film, which mostly has the streets of Nottingham’s Lace Market substituting for 1950s Soho, Pablo Behrens and his crew squeeze a lot of production value from their modest budget to craft a film with a wonderful sense of mood. Martin Kobylarz’s loose cinematography is gloriously vivid and it adds a a wonderful distinct style to proceedings (smoke, light and shadow should surely get an above the title credit). These onscreen visuals are perfectly accompanied by Anthony Reynolds’ jazzy score and together they make for a wonderful dreamlike combination. Films of all shapes and sizes are released on a weekly basis, but its always worth seeking out small little gems like Adrift In Soho. It doesn’t necessarily follow narrative structure conventions and it will likely be a challenge for some. 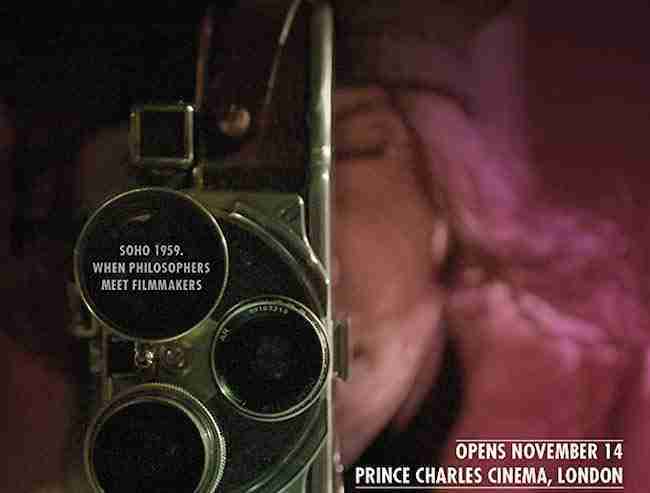 However, this free-wheeling style of filmmaking is what makes Adrift In Soho so special. The film is all about challenging convention and fighting for your art – and that’s exactly what Pablo Behrens does with this brave expressionistic piece of cinema.